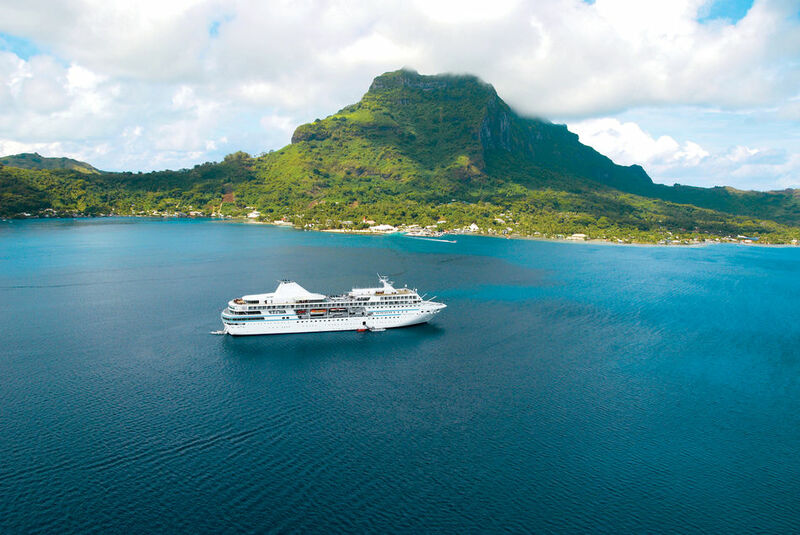 Guest reviewers Natalie and Jenna report back from their recent Paul Gauguin Cruises voyage to Tahiti, visiting Huahine, Motu Mohana, Bora Bora and Moorea. 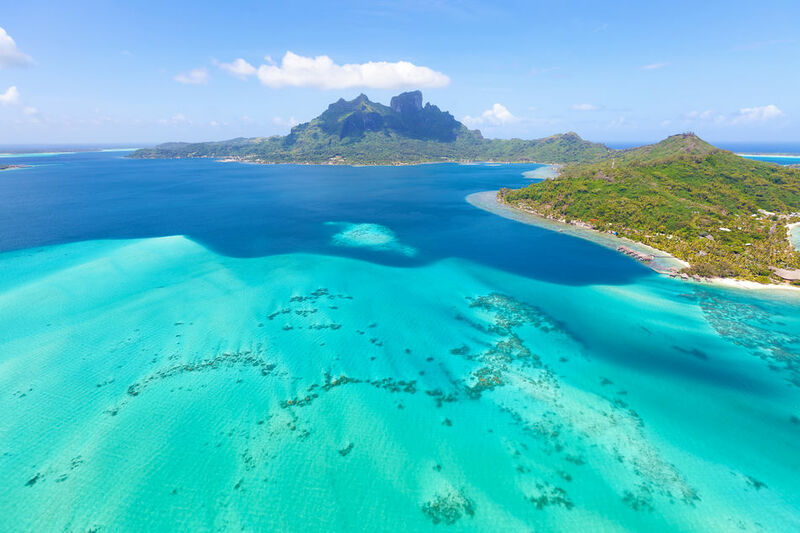 The moment you step onto Tahitian soil and are greeted by the Gauguin bands and singers at the airport, you have totally forgotten that it has just taken you twenty hours to get there. Certainly, when you wake up to one of the most beautiful sunrises in the world, with palm trees and reefs in the distance, you realise that you are somewhere very special – a far removed part of the planet. 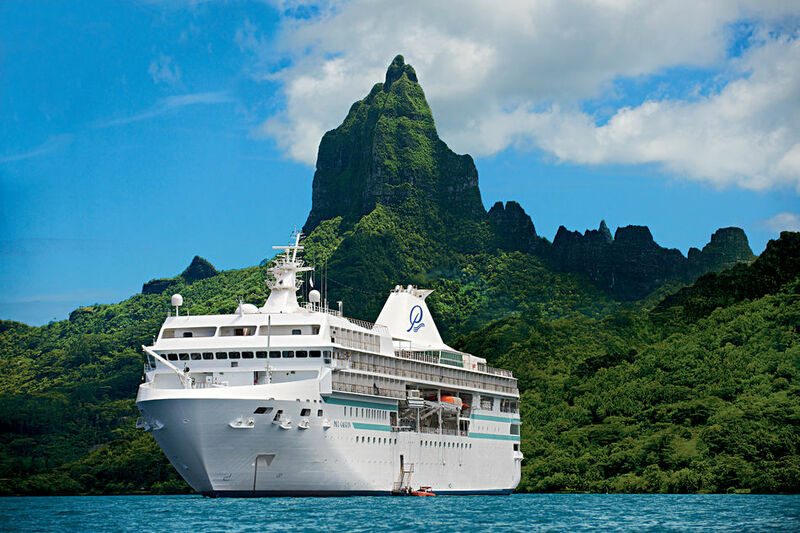 I would definitely recommend spending a couple of nights in either Tahiti or Los Angeles before joining the Paul Gauguin ship, so that once you step onboard you are properly rested - we spent a night at the InterContinental Resort Tahiti. 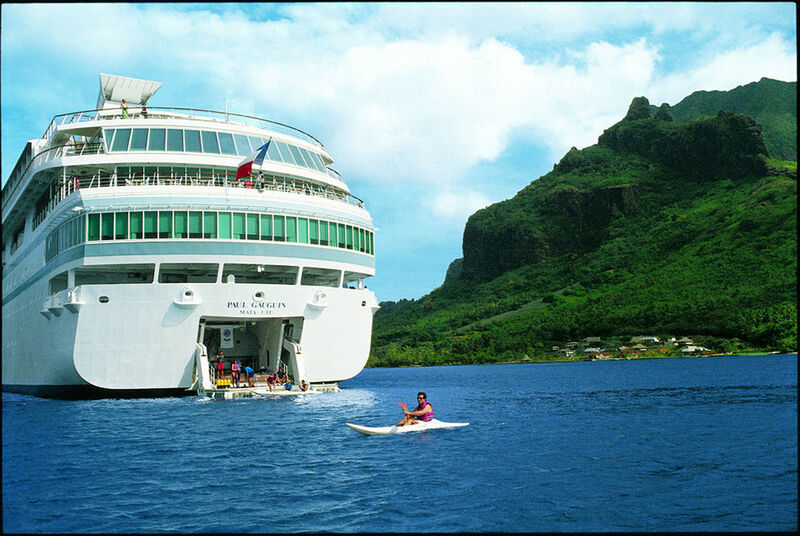 Paul Gauguin Cruises were waiting for us in the busy port of Tahiti. The moment we stepped onboard I realised why Paul Gauguin is so popular. It has a special charm, and from what I can tell so far, this is created by the crew. The moment my room key clicked my door open, I was greeted with a spacious balcony room and a gift of tropical flowers, chocolates and champagne….I grinned like a Cheshire cat!! After cocktails in the Piano Bar, we had dinner in L’Etoile (the main dining room) and the food was fantastic. I had tuna sashimi, followed by a noodle salad and a delicious pork and coconut stir-fry. Dessert was a chocolate fondue, rich and sweet, just the way I like it! After, we had more cocktails up on deck. I love how relaxed the environment is on Paul Gauguin, it was balmy and warm as we sat laughing under the stars before bed awaited. We are early birds so decided to head straight for the marina; I was like a big kid excited to go and check out all the water toys! We decided on a double kayak. With clear instructions to keep in full view of the water marina we set off. After a refresher in paddling, we decided to head out to the waves and the extreme surf. As we got closer, it really was inspiring to watch the ocean crash mightily into the reef. After lunch, this time in the Veranda (which again was delicious and I ate too much), we headed out on a boat shore excursion which Paul Gauguin arranged for us. We went to see the surf point. The waves were as fierce as they were this morning, and I’m glad to be safe in a boat. After speeding along the coast line, we met a lone surfer who was just about to start paddling out to the terrifying surf in the distance. Once we headed off and my heart beat went back to normal, I sat back and relaxed. I was at the front of the boat and got a spray from the waves – much to everyone’s amusement! The scenery really was quite stunning, and though the clouds came in today, they gave the tropical mountains an eerie quality hidden behind the mist – it was quite spectacular. We stopped for snorkelling and it was amazing how many fish you could see and how clear the sea was. We saw whales in the distance and I was lucky enough to see the tail crashing – what an incredible bonus to a fantastic tour! Heading back, we stopped at the market and met the local kids who go to school by boat! We all dressed up for dinner tonight as it was the Captain’s night. Bubbles in hand, we enjoyed a show about the history of the artist Paul Gauguin. 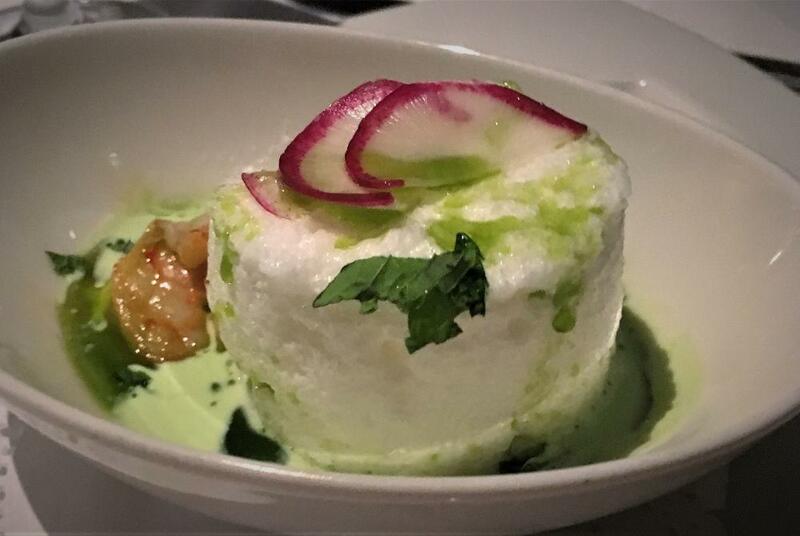 We had dinner again in L’Etoile and it was incredible. I woke up early and pulled the curtains open to see the beautiful island of Huahine and the clear blue skies looking back at me. I knew today was going to be a good day! After a buffet breakfast in La Veranda, we boarded the tender boat and upon arrival we were met by a complimentary ‘Le Truck’ which took us the short drive to the village of Fare and it’s bay of stunning blue water. We proceeded to spend the morning swimming, relaxing on the white sand and taking in the gorgeous surroundings. 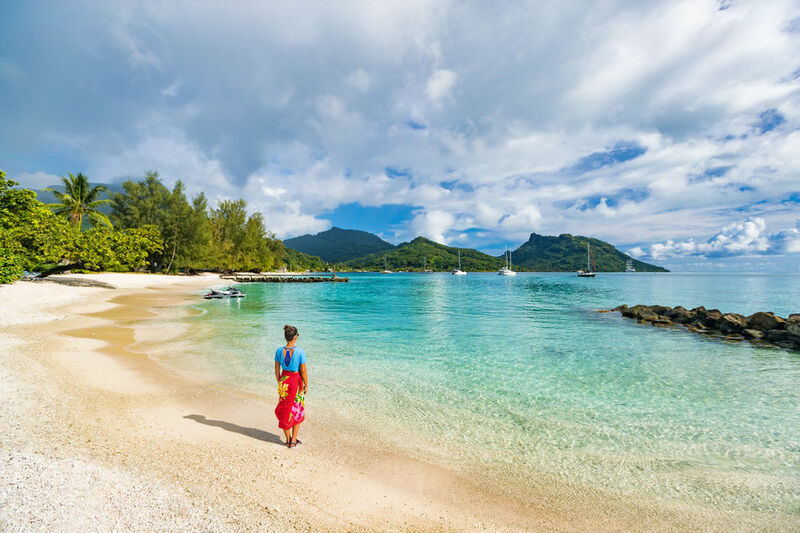 Motu Mohana is Paul Gauguin’s private islet, just off the island of Taha’a, and every cruise guests get the opportunity to spend the day there, partaking in paddle boarding, kayaking, games such as volleyball and badminton. We also joined Les Gaugines for a coconut tasting and demonstration, pareo tying and head band making. We knew the island would be popular and were ready and waiting for the first tender at 10.15 and before we knew it we were selecting our sun loungers and exploring this gorgeous island. And what an island! 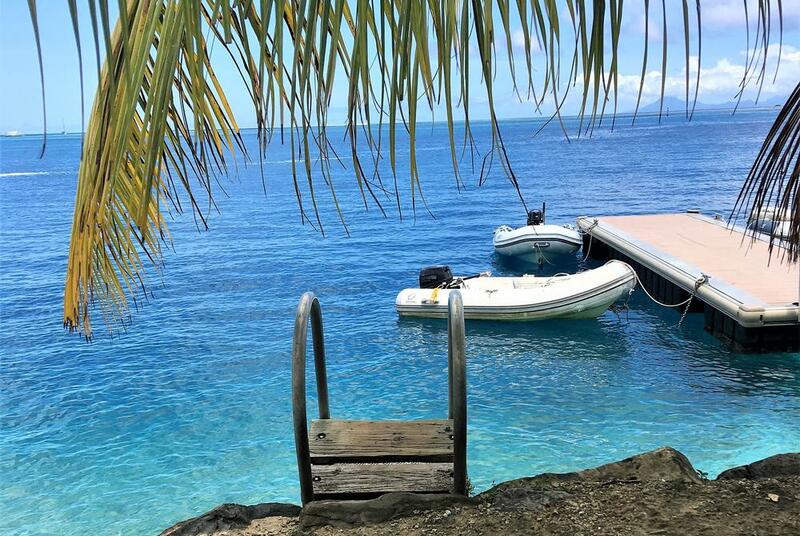 White sand beaches, crystal clear blue waters and snorkelling galore. 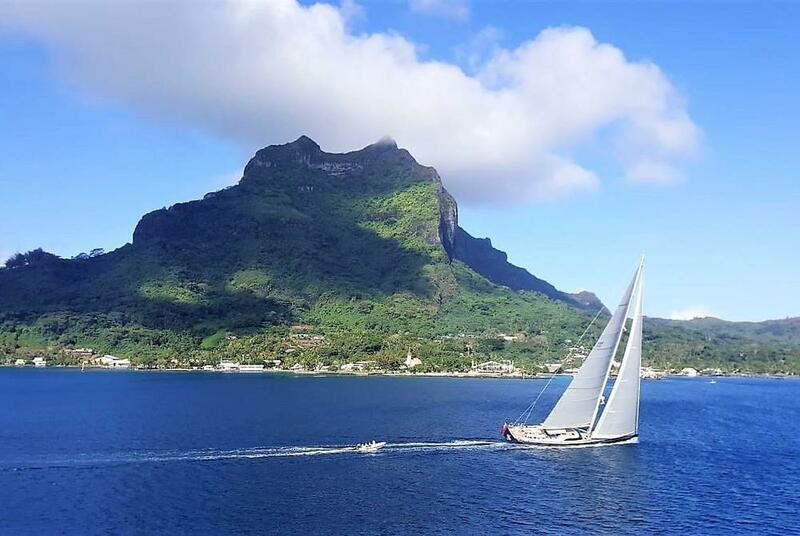 Today was Bora Bora day, I opened the French doors to the beautiful famous peak. It was a cloudy start today but it soon cleared – which is just as well as I was booked on a dive. It was my first dive … well let’s just say it’s been a long time and I was feeling nervous! However, I did a refresher course the day before in the pool with the fantastic dive crew, so I was in very capable hands. I had forgotten how special diving is – the visibility of the coral was immense. We saw so many beautiful fish, including lots of Nemos and Puffas. If diving is not your thing then don’t worry, as I have to say that when we snorkelled in Moto Mohana I saw just as many of an array of fish. This region really is paradise, both above and under the sea! On the way home on the dive boat, we were entertained by a pod of dolphins that were playing in our surf! The guys back at the ship who had enjoyed a leisurely breakfast also watched them play, this is the great thing about the ship being able to anchor in the small lagoons, you are right in the heart of the lagoon and the marine wildlife. We then headed off on the tender boat to explore Bora Bora main land. There were lots of black pearls for sale, however, we opted for postcards and fridge magnets…more our budget! We walked up a hill towards the peak and had great views of the ship nestled in the lagoon. By this time we had built up a thirst and headed back down to the main town. I ordered a vanilla milkshake which was $10!!! 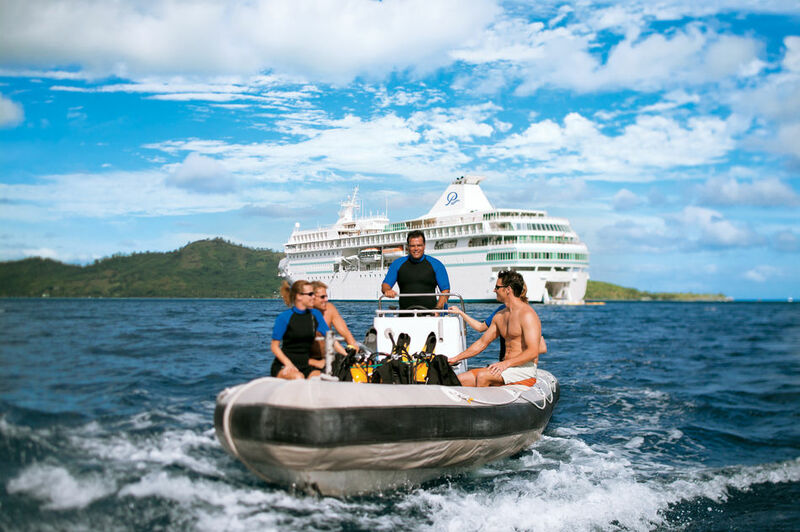 This was a reminder of how great the value is when travelling with the all-inclusive Paul Gauguin Cruises in this region. I managed to make it to the gym this morning before breakfast to work off the rosé hangover! The gym is small but perfect, with views out to the ocean. We had breakfast today up in La Grille to make the most of the stunning surroundings. It was the right choice, as I spotted whales in the distance. We are getting good as a team at spotting whales now, you just have to watch for the blow in the distance. As the whale got closer, we realised that it was a humpback mother and her calf. It was so special to sit there enjoying breakfast and be entertained by your own private wildlife show. We headed out on the first tender boat around 10am, excited to be heading to Paul Gauguin's private beach in Bora Bora. This is the view that people travel half the way around the world to capture – the clear blue lagoon in front of the rising peak. The beach was beautiful and we settled under a palm tree to relax. 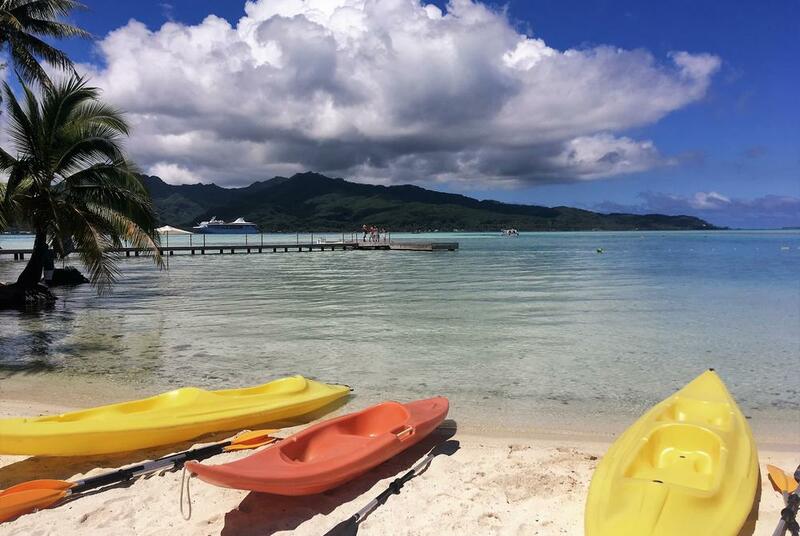 By the afternoon, the water sports had arrived and we set off kayaking and paddleboarding, it is so great that this is all included in the cruise fare. On the way home I decided to catch the later tender, this turned out to be the best decision as on the way back home we spotted a pod of whales. What I really liked was that the captain turned off the engine so that we could stop to watch them. Although this was in a tender, it felt more like an expedition. I like the fact that Paul Gauguin Cruises make sure the wildlife takes precedence to the schedule of the ship! Matt took an earlier tender and was met with stingrays as they set off….this really is turning out to be a very special trip. 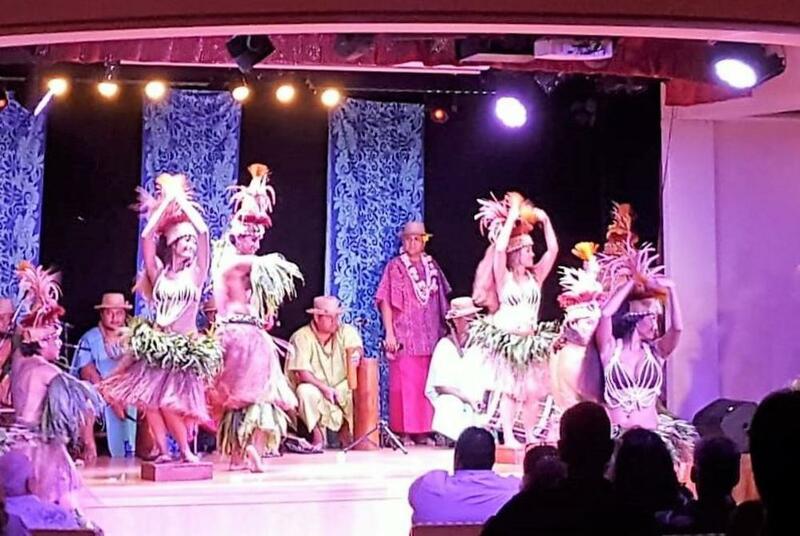 Tonight is Polynesian night – the food and show was brilliant. The rest of the day was spent exploring the beautiful island of Moorea in a car we had hired for the day. This gave us the luxury of spending the day at our leisure and we promptly headed to the Belvedere Lookout for the best views on the island, overlooking both the mountains and sea beyond. 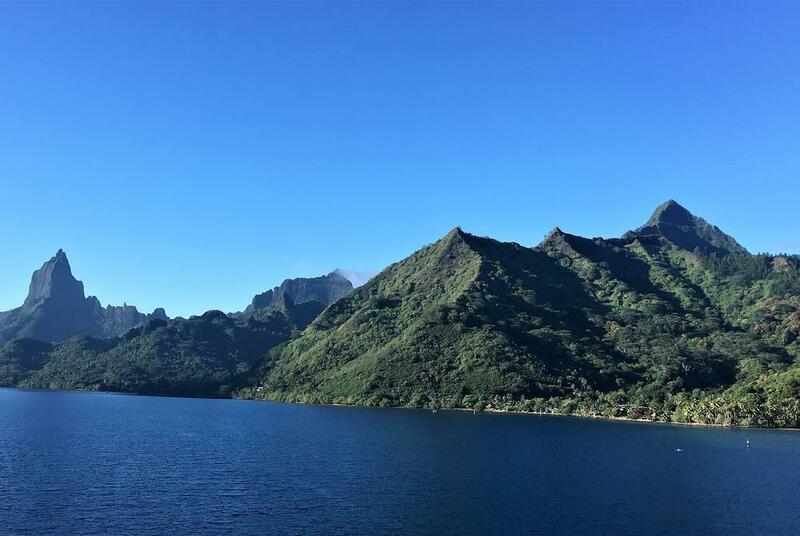 We could have stayed here for hours hiking and enjoying the scenic views, but we went for a lovely lunch in a beachside café, did some shopping and enjoyed Moorea’s scenic beaches and mountainous scenery. It was then back to the ship for the Captain’s farewell party and sail-away party. We had our final dinner in Le Grill and had the difficult task of saying goodbye to our new friends and the amazing ship that had welcomed us so warmly and had felt like home for the past week.